Star Spangled-War Stories #126 featuring the one and only appearance of Sgt. Gorilla. 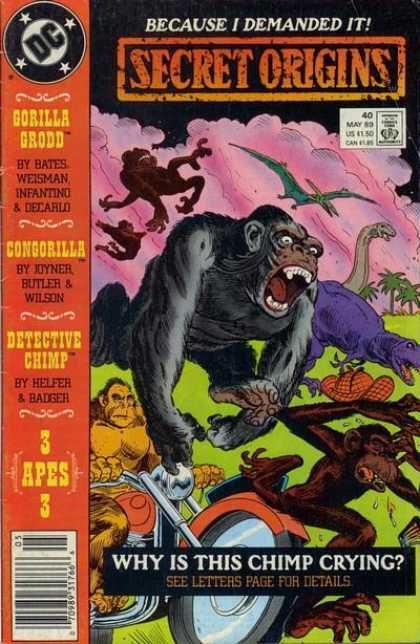 Two of my favorite things, gorillas in comics and Joe Kubert art, all wrapped in one dynamite package. 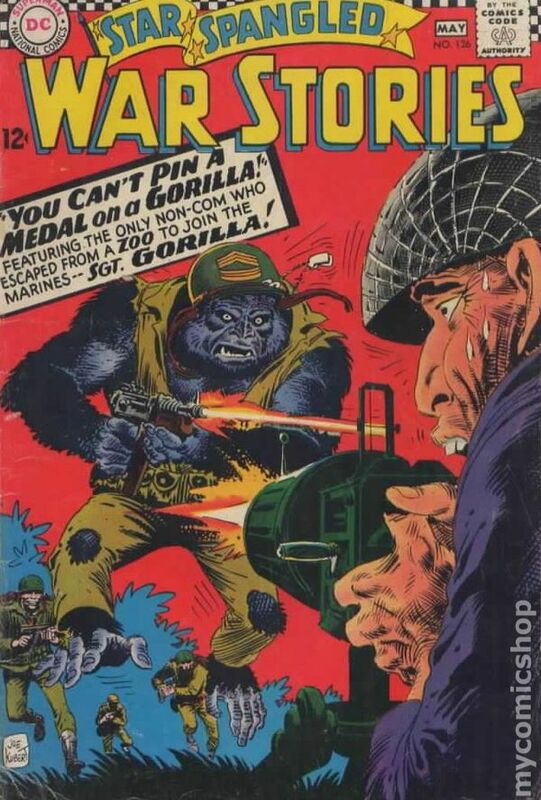 When I decided I needed more Kubert in my stash of comics this was the first issue I targeted to track down and buy, and the story-You Can't Pin a Medla on a Gorilla, quickly found its place on my list of all time favorite stories. What is it with DC and gorillas? On the second day of Christmas, my collection gave to me....two deadly stingers! This book represents my first series that I collected and when I finally purchased this issue, I was elated. For a young teenage me, it represented a big accomplishment (I had the first 60 issues of a series!) and it was CGCed to boot (a modest 8.0). 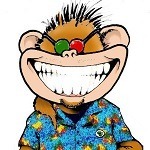 To this day, I have not purchased a CGC book mainly because I like to read my comics. But this one just looks so damn good in my collection. I picked up a secondary reader copy a year or so later and while there is nothing fantastic about the story, the artwork and cover has always grabbed me. 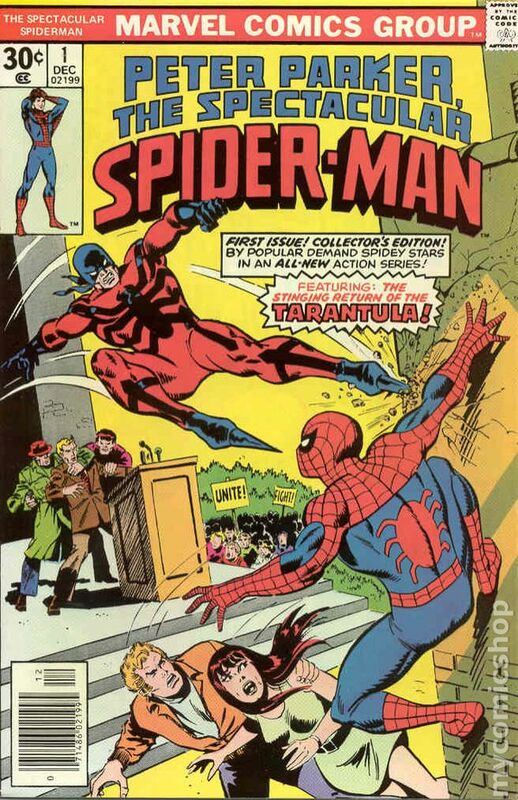 Visually, the Tarantula looks great and Buscema always new how to draw IMO. DC has gorillas, Marvel has zombies. That is why Marvel Apes was such a failure because it was a shameless attempt to horn in on DC's territory. But more seriously, Irwin Donenfeld claimed that a gorilla appearing on a cover of an issue increased sales of that issues. Other supposed sales boosters were motorcycles, fire, heroes crying and covers that asked questions. 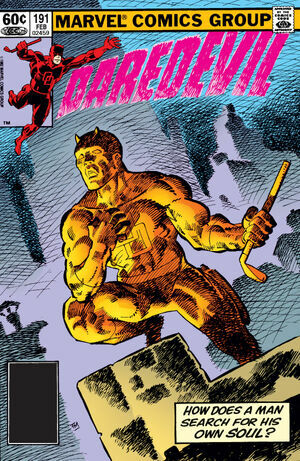 This is from the first Daredevil run that I read portions of. It's also part of my current reading, so it's in the front of my mind. John Romita, Jr.'s art was amazing. It was double-sized, which was always a big deal as a kid. And it fascinating because of the realistic terror. There's a blackout in NYC, and Daredevil had to deal with thugs determined to take advantage of the situation. Apparently, dinosaurs and the colour purple were also big ones.